The TUMBLEBUS is a full-sized, colorful school bus that has been converted into a safe and fun mobile fitness facility for children! Enjoy our interactive children’s education and fitness fun program, perfect for children 18 months - 6 years. We are fully licensed and insured for operation. Early introduction to physical fitness and motor development enhances the building blocks to prepare children for a long, active, healthy lifestyle; a lifestyle which can lead to involvement in all types and forms of athletics. It all starts with TUMBLEBUS! Each child's confidence rises by encouraging them to go beyond their own expectations and perceived limitations. Each child’s coordination, gross and perceptual motor skills, flexibility, and kinesthetic awareness. 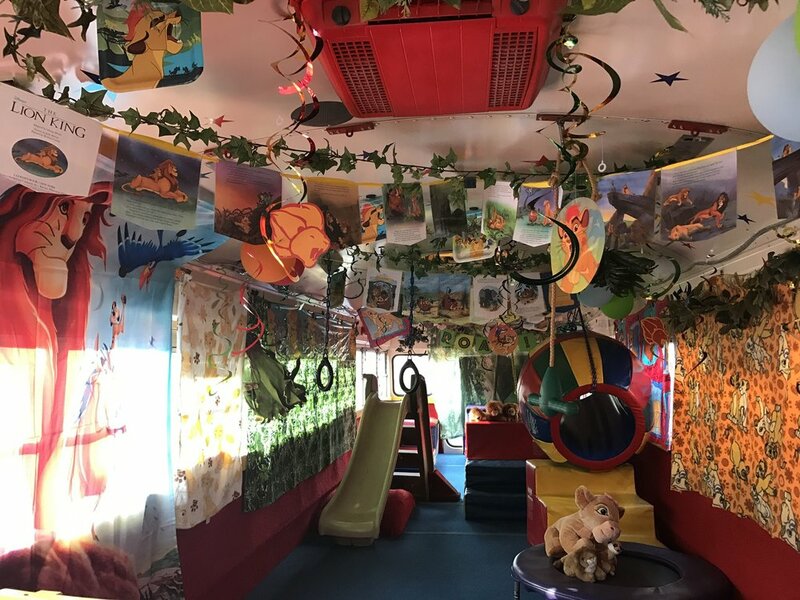 Our TUMBLEBUS features: Padded walls and floors, climate controlled atmosphere, tumbling and climbing equipment, monkey bars, trampoline, rings, balance beam, swings, slide, climb and slide mountain, vault, trapeze, low bars, zip line and much more! We look forward to introducing our TUMBLEBUS Fun & Fitness with you!